I have a question about the property at 6A Upper Glades Stratton VT 05155 (#4729529). I would like to schedule a visit for the property at 6A Upper Glades Stratton VT 05155 (#4729529). I have a question about the property at 366 West Hill Road Jamaica VT 05343 (#4741647). I would like to schedule a visit for the property at 366 West Hill Road Jamaica VT 05343 (#4741647). I have a question about the property at 46 Stoney Brook Road Londonderry VT 05155 (#4714817). I would like to schedule a visit for the property at 46 Stoney Brook Road Londonderry VT 05155 (#4714817). • Townhouse • Resort Location • 4 Bedrooms and 3 Bathrooms • 1 King • 1 Queen • 5 Twins • Sleeps 9 • Trailside • Hot Tub • Wood-Burning Fireplace • Garage Treetop located on Winterberry Heights, ski on/ski off – the best location! This unit comfortably sleeps 9. Sports Center eligible. Relax in the hot tub or sit by the fire after a wonderful day of skiing. Enjoy Stratton from an extremely coveted community. 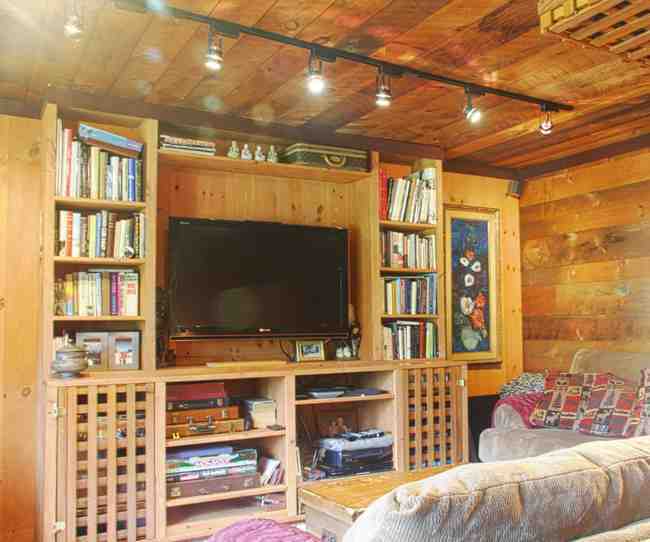 I have a question about the property at Luxury Treetop Stratton VT (#X66464677). I would like to schedule a visit for the property at Luxury Treetop Stratton VT (#X66464677). •Resort Location •House •Mountain Views •Billiard Room •Updated Kitchen •Great Room •Family Room •4 Bedrooms & 3.5 Bathrooms •1 King •2 Queens •1 Full •1 Twin Bunk Set •Sleeps 9 •Cathedral Ceiling •Hot Tub •Deck This stunning, elegantly designed Resort home comes with breathtaking views of the Stratton Ski Trails. The residence features a great room with cathedral ceilings and walls of windows displaying the mountain views, updated kitchen and dining area, billiard room, and family room on the lower level, making it the ideal for entertaining throughout the winter season. The upper level holds 4 bedrooms and 3.5 bedrooms with enough room to sleep 9. Enjoy the hot tub overlooking the mountain after a full afternoon of skiing. Don't hesitate, make this home your winter getaway today! I have a question about the property at Pearl Buck House Stratton VT (#X33176563). I would like to schedule a visit for the property at Pearl Buck House Stratton VT (#X33176563). This beautiful 4.61 acre wooded lot is set back off road for maximum privacy yet convenient to all amenities. Take advantage of all this area has to offer. Skiing, Golf, Lowell Lake. Power accessible at Road. I have a question about the property at Route 11 Londonderry VT 05155 (#4714871). I would like to schedule a visit for the property at Route 11 Londonderry VT 05155 (#4714871). 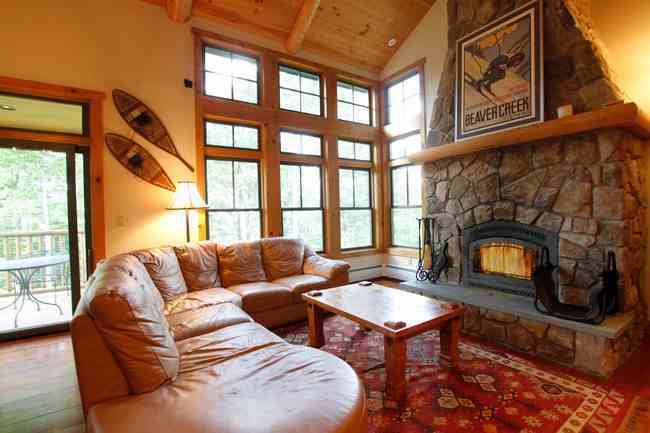 •Off Mountain House •3 Bedrooms & 2.5 Bathrooms •3 Queens •Sectional Sofa •Sleeps 6-8 •Pellet Stove •Deck • Garage If convenience to the Stratton ski slopes is what you need, then look no further. This charming home located only a few minutes from the mountain has plenty to offer with a cozy floor plan, bonus family room, 3 bedrooms and 2.5 bathrooms. Enjoy the pellet stove and wide pine flooring to experience a truly classic Vermont winter home. With a great location and rustic feel, this home is not to be passed up! I have a question about the property at Charming Stratton 3BR Stratton VT (#X77829203). I would like to schedule a visit for the property at Charming Stratton 3BR Stratton VT (#X77829203).